Travspire had the opportunity to speak to Benjamine Oberoi, owner and manager of Casa Piccola Cottage, a heritage hotel located in the heart of Bangalore, and founder of the Casa Foundation, which supports local NGOs in obtaining finance for projects. Born and brought up in France, Benjamine first travelled to India over thirty years ago, when an Indian friend whom she met in Germany invited her to India. While doing her PhD in France, she decided to return to India to study in Bangalore for a year when she was awarded a scholarship to study at NIMHANS, a hospital for mental health. While she didn’t plan to meet her future husband Bhushan here, she did – and decided to settle in Bangalore. She reminisces how Bangalore was a small city back then and how she enjoyed all the possibilities it offered. It was thirty years ago that Bhushan and Benjamine opened up a restaurant in Bangalore by the name of Casa Piccola – which then became a Bangalore instution in the 1980s – and grew the Casa Piccola Euro Restaurants group. Ten years ago, the couple bought the property that is now Casa Piccola Cottage and restored it to what is a heritage hotel today. Stepping into the property, made up of cottages and beautifully landscaped greenery, you would never know that you are actually in the heart of Bangalore, just off perhaps the busiest road in the city that is Richmond Road. The peace, colourful houses and greenery make it feel like somewhat of an oasis in the middle of ordered chaos. Casa Cottage is extremely affordable and feels incredibly safe – there are 18 rooms available on the property, and with one visit to the common dining area, you’ll see the variety of guests staying here. I stayed here for 10 days and every morning for breakfast, I would meet someone new and interesting from around the world – although many were from France J Benjamine, who is often found chatting to her guests, says that most of them are leisure travellers, mainly from Europe. Benjamine is also a founder of the Casa Foundation, which supports 4 or 5 local NGOs in getting funding from the government and other donors. She contributes both her time and funds, whether it be from the Rs. 100 she donates per night room rate at Casa Cottage, or through funds she sources from donations from people in France, Germany and Switzerland. She only wishes that there were more businesses that would donate a small portion of their earnings – one that would add up to doing a lot for NGOs. An example of Benjamine’s work with the foundation is helping to set up a centre for around 100 street children – she worked for six years with a local NGO to pick up children coming to train and bus stations and city markets to rescue them before they are taken by the mafia. The goal is to eventually send the children back to their families. Other projects she has worked on are helping fund a hostel for girls, who would otherwise sleep on streets, preventing them from entering prostitution; a waste management solution in Tamil Nadu; and a self help national project in microfinance for 150,000 women. 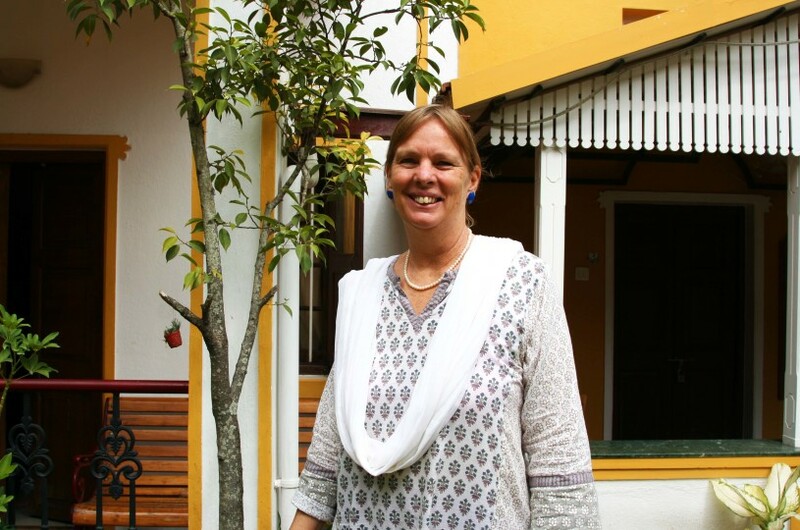 If you’re looking for a place to stay in Bangalore, come by to the Casa Piccola Cottage – you’ll love Benjamine and her staff’s homely hospitality, get to meet many interesting folks from around the world and help support Casa Foundation in their efforts with local NGOs.